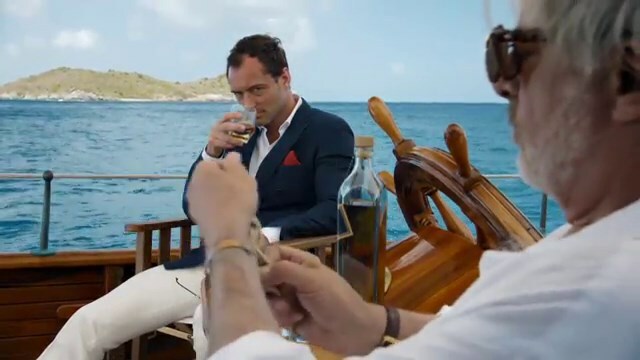 There are plenty of ways to market Scotch whisky. One is to go the traditional route, emphasizing your connections to Scotland, and how it has been distilled in the same place over centuries. Or, if you feel you need a bit more pizzazz, and that people already know that you have been around for nearly two centuries, then something on top is in order. Cue fashion. Johnnie Walker Blue Label, the premium 80–86 proof (40–3 per cent ABV) blend and the sought-after whisky in the range, is already the choice of many connoisseurs who enjoy the taste of the early 19th-century blend. Only 1 in 10,000 casks contain whisky of sufficient character to wear the Blue Label. The Blue Label whiskies are numbered serially, and for that, you’d expect it to be something more special. And it is. 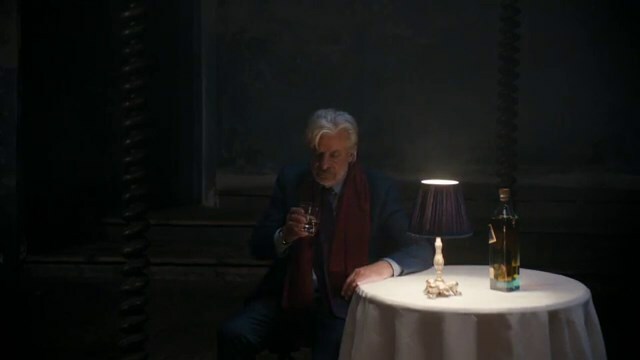 With the latest Johnnie Walker Blue Label spot, directed by Jake Scott and which breaks today, Jude Law and Giancarlo Giannini, dressed in association with Mr Porter which has provided everything from Brioni blazers (£3,900) to the Drake’s polka dot pocket square (£53) and Bremont Solo watch (£2,635), mount a gentlemen’s wager showing just what should accompany the whisky. On a rare 1928 Baglietto boat in the British Virgin Islands, they make their wager, and it’s not about flash cars or technology: it’s about something that money cannot buy. The gentlemen base their wager—for Giannini’s boat—on a dance. 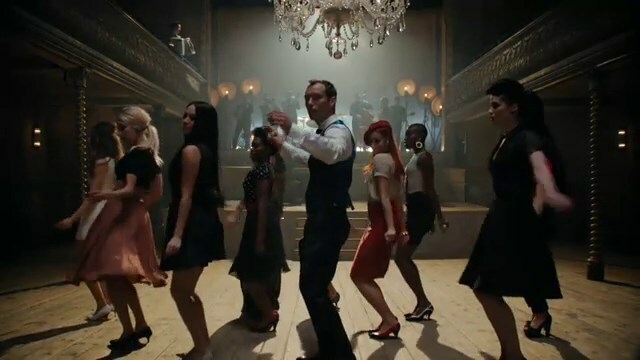 Law leads a group of dancers as Giannini watches at a dance hall, while a stylish jazz theme plays. And the conclusion? You’ll have to watch the ad. And you can shop the look at Mr Porter for all the men’s items that appear in the six-and-a-half-minute spot, by clicking on the top right of the video screen.